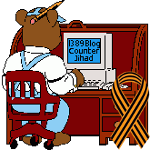 2012 March — 1389 Blog - Counterjihad! Stop wasting your sympathy on ghetto thugs. The Cross: Don’t leave home without it!